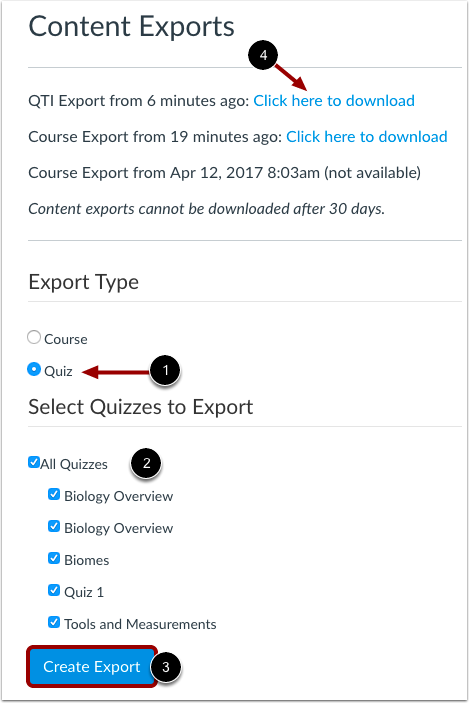 If you need to export quiz content from your course, you can export quiz content as a QTI ZIP file. Note: An exported quiz with questions linked to a question bank will not include an export of the question bank. The QTI file will only include questions from the question bank that have been added to the quiz. 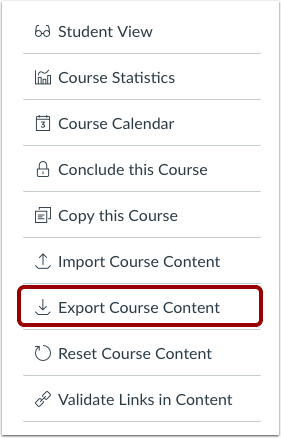 If you want to import the quiz into another course along with question banks, you may prefer to export your Canvas course and select quizzes and question banks in the course import. Click the radio button for Quiz Export . Choose the Quizzes you want to export . Click the Create Export button . Note: When you create an export, Canvas will create an export archive  where you can download prior export files. When the export is complete, click the New Export link. 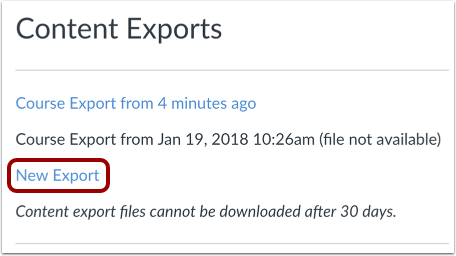 Note: Content exports expire after 30 days and can no longer be downloaded. Previous Topic:How do I delete a quiz? Next Topic:Once I publish a quiz, how do I make additional changes? Table of Contents > Quizzes > How do I export quiz content from a course? Re: Where does exported Quizzes save to? 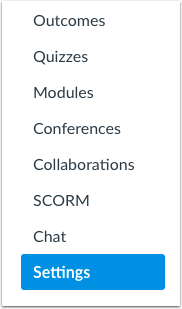 Re: How two instructors can share/import/export question banks to one and the other? Re: Can teachers download a Canvas quiz into a file such as PDF of .Doc?